Here at Rhythm we're this month celebrating our 25th anniversary, and we're marking the event in style - by offering you the chance to win a truckload of awesome drum gear worth more than £10,000! 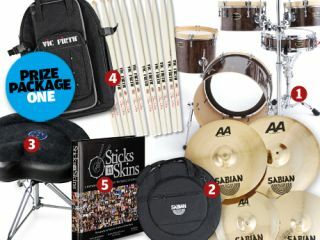 For full prize details and info on how to enter pick up the special September issue of Rhythm, on sale 31 August. You have until 27 September to get your entries in. Good luck!